Born 29 Jan 1927; died 19 Oct 2004 at age 77. Pakistani-British nuclear physicist who shared the 1979 Nobel Prize for Physics with Steven Weinberg and Sheldon Lee Glashow. Each had independently formulated a theory explaining the underlying unity of the weak nuclear force and the electromagnetic force. His hypothetical equations, which demonstrated an underlying relationship between the electromagnetic force and the weak nuclear force, postulated that the weak force must be transmitted by hitherto-undiscovered particles known as weak vector bosons, or W and Z bosons. Weinberg and Glashow reached a similar conclusion using a different line of reasoning. The existence of the W and Z bosons was eventually verified in 1983 by researchers using particle accelerators at CERN. Cosmic Anger: Abdus Salam, The First Muslim Nobel Scientist, by Gordon Fraser. - book suggestion. Italian geologist and prehistorian, known for his research on the stratigraphy and paleontology of the Triassic invertebrates (from 190-225 million years ago) and the Permian vertebrates (from 225-280 million years ago). His works include studies of the tectonics (the movement and deformation of the Earth's surface) and stratigraphy (the description and interpretation of rock successions) of the Dolomite Alps and development of a new theory on their evolution. He also discovered a new Mousterian prehistoric culture, the Bernardinian. Born 29 Jan 1901; died 15 Nov 1965 at age 64. Allen B(alcom) Du Mont was an American engineer who perfected the first commercially practical cathode-ray tube, which was not only vitally important for much scientific and technical equipment but was the essential component of the modern television receiver. The early cathode ray tubes were imported from Germany at high cost, but they burned out after 25 or 30 hours. In the 1930's, he simplified and improved the production of cathode ray tubes lasting a thousand hours. A financially successful by-product of his television work was the cathode ray oscillograph. After WW II, Du Mont had become the industry's first millionaire, investing also in broadcasting stations. The Du Mont Broadcasting Co. he began in 1955 grew to become Metromedia, Inc.
Born 29 Jan 1888; died 16 Jun 1970 at age 82. 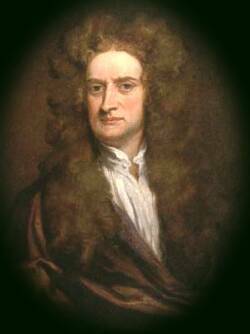 English mathematician and physicist noted for his research in geophysics. After graduation (1910) he worked at the Greenwich Observatory, but returned to Cambridge upon the outbreak of WW I. Between 1915 and 1917 he completed a series of important papers on thermal diffusion and the fundamentals of gas dynamics. He developed systematic approximations to the Maxwell-Boltzmann formulation for the velocity distribution function for interacting particles under general force laws. During WW II he worked on military operational research and incendiary bomb problems. Chapman's main area of research was geomagnetism, beginning in 1913 and extending to terrestrial and interplanetary magnetism, the ionosphere and the aurora borealis. Alexander (Alexandrovich) Goldenweiser was an Russian-American anthropologist whose analyses of cultural questions ranged widely, encompassing intellectual movements in psychology and psychoanalysis. In particular, he suggested that cultural diffusion is not a mechanical process but, rather, depends in part on the receptiveness of cultures to proffered traits. Goldenweiser did very little field work in anthropology - less than ten months on six trips to the Iroquois on the Grand River reservation in Ontario (1911-13) - and is said to have disliked it. He was, however, a stimulating and versatile popular lecturer. Theory and methodology were his major concern, with folk psychology, religion and magic, and social organization in the forefront of his topical interests. Born 29 Jan 1863; died 15 Apr 1948 at age 85. U.S. geologist and educator who, as chairman of committee on measurement of geologic time of the National Research Council (1922-46), originated, promoted, and directed research on the determination of the age of the Earth. He was petrographer, assistant state geologist, and state geologist for the Michigan State Geological Survey from 1889 to 1909. Born 29 Jan 1838; died 24 Feb 1923 at age 85. American chemist who is best known for his collaboration with the physicist A.A. Michelson in an attempt to measure the relative motion of the Earth through a hypothetical ether (1887). He also studied the variations of atmospheric oxygen content. He specialized in accurate quantitative measurements, such as those of the vapour tension of mercury, thermal expansion of gases, or the combining weights of hydrogen and oxygen. Morley assisted Michelson in the latter's persuit of measurements of the greatest possible accuracy to detect a difference in the speed of light through an omnipresent ether. Yet the ether could not be detected and the physicists had seriously to consider that the ether did not exist, even questioning much orthodox physical theory. Born 29 Jan 1817; died 18 Sep 1891 at age 74. German mathematician whose introduction of ideal numbers, which are defined as a special subgroup of a ring, extended the fundamental theorem of arithmetic to complex number fields. He worked on Function theory, and extended Carl Gauss's work on hypergeometric series, giving developments that are useful in the theory of differential equations. He was the first to compute the monodromy groups of these series. Later. Kummer devoted himself to the study of the ray systems, but treated these geometrical problems algebraically. He also discovered the fourth order surface based on the singular surface of the quadratic line complex. This Kummer surface has 16 isolated conical double points and 16 singular tangent planes. Born 29 Jan 1773; died 29 Sep 1839 at age 66. Born 29 Jan 1688; died 29 Mar 1772 at age 84. Swedish scientist, philosopher and theologian. While young, he studied mathematics and the natural sciences in England and Europe. From Swedenborg's inventive and mechanical genius came his method of finding terrestrial longitude by the Moon, new methods of constructing docks and even tentative suggestions for the submarine and the airplane. Back in Sweden, he started (1715) that country's first scientific journal, Daedalus Hyperboreus.His book on algebra was the first in the Swedish language, and in 1721 he published a work on chemistry and physics. Swedenborg devoted 30 years to improving Sweden's metal-mining industries, while still publishing on cosmology, corpuscular philosophy, mathematics, and human sensory perceptions. The Generative Organs, Considered Anatomically, Physically and Philosophically, by Emanuel Swedenborg. - book suggestion. Baptized c. 29 Jan 1631; died 17 Jan 1691. Fritz Haber: Chemist, Nobel Laureate, German, Jew: A Biography, by Dietrich Stoltzenberg. - book suggestion. Died 29 Jan 1934 at age 79 (born 28 Nov 1854). Died 29 Jan 1929 at age 69 (born 5 Aug 1859). American biochemist who made major contributions to understanding the chemistry of vegetable proteins. He and his collaborator Lafayette Mendel showed that tryptophan and lysine are essentials in diet for healthy growth. They discovered another essential, a fat-soluble substance, in butter (now known as vitamin A). Similar work revealing that substance, published three weeks earlier was done by Elmer Verner McCollum and Marguerite Davis, who also found it in egg yolks (1912). Died 29 Jan 1891 at age 79 (born 8 Apr 1811). Died 29 Jan 1859 at age 73 (born 19 Aug 1785). American clock manufacturer who was one of the pioneers in the mass production of clocks. After working with Eli Terry and Silas Hoadley in firm of Terry, Thomas & Hoadley, which manufactured clocks by mass production methods (1807), Thomas founded a clock factory of his own at Plymouth Hollow, Conn. (1812). He was not an inventive genius, but he was an excellent mechanic and a keen business man. Two years later he paid Terry for the rights to manufacture the latter's popular shelf clock. Shortly, he was selling as many clocks as Terry. As his business developed Thomas built a mill for rolling brass and making wire at Plymouth Hollow, and operated it in conjunction with the clock factory. Finally, he organized the Seth Thomas Clock Co. (1853). Died 29 Jan 1859 at age 69 (born 9 Sep 1789). In 1998, for the first time, a top tobacco company executive acknowledged the health risk of tobacco products under oath to Congress. This testimony by Steven Goldstone, RJR Nabisco chairman and CEO, came at a hearing where industry leaders pushed Congress to enact a $368.5 billion deal giving them partial immunity from future lawsuits. As recently as 1994, seven tobacco industry executives had stood before the House Commerce Committee and sworn nicotine is not addictive. In 1993, a daughter received lung material from both her mother and father to treat the effects of cystic fibrosis. This operation, performed in Los Angeles by Dr. Starnes at USC University Hospital, was the first in the world double-lobar living related transplant. Transplantation from a living, related family member is beneficial because it provides an immediate donor source and reduces the likelihood of rejection. In 1978, Sweden became the first nation to curb aerosol sprays to halt the destruction of the ozone layer. In 1960, an artificial kidney that operates without human monitoring was announced. In 1958, The Boston Herald printed a letter from Olga Owens Huckins attacking DDT pesticide as dangerous. Huckins was a friend of Rachel Carson, and also sent a personal letter to her, which together prompted the writing of Carson's book Silent Spring, an early call for modern environmentalism. Carson collected research and data. She concluded that organo-pesticides built up in crops and sprayed crops, transferred to birds and other animals and was responsible for the poisoning of the surrounding fauna. Silent Spring asked important questions about balancing industrial and agricultural needs, progress, the protection of the environment and the quality of life. Carson's skilled writing awakened the conscience of America. It took until 1972 to get its use banned in the U.S.
Silent Spring, by Rachel Carson. - book suggestion. In 1924, the first U.S. patent for an ice cream cone rolling machine was issued to its inventor, Carl R. Taylor of Cleveland, Ohio, in which it was described as a “machine for forming thin, freshly baked wafers while still hot into cone shaped containers” for ice-cream. Multiple dies were designed on a turntable, such that when formed, the cone had time to cool and harden before rotating into position for release. The whole machine was to be set up beside a batter baking machine which provides the supply of the hot, flat wafers (No. 1,481,813).Image: detail of one die from the series set around the machines's turntable. In 1901, the prolific black American inventor, Granville T. Woods, received one of his patents related to the operation of an electric railway (No. 667,110). It applied to the kind of electric trains which take their power from conductors in the road-bed. For practical purposes, the current is fed only at the time that the train has its contact makers engaged with the conductors. The current flow is controlled by electro-magnetic switches along the line of way. Woods had previously designed and patented a suitable device for this purpose, but this patent improved upon that design. He assigned it to the General Electric Co. of New York. In 1896, Émil H. Grubbe, a Chicago researcher, became the first known to administer x-ray radiation treatment for the recurrent breast cancer of a fifty-five-year-old woman. X-rays had been discovered the previous year in Germany. Grubbe tried radiation as a tool against cancer after he suffered a radiation burn while experimenting with X-rays. His experiment didn't cure the woman's cancer, but others in the late 1890s who applied X-rays to various cancers - especially skin cancer - not only relieved cancer pain but actually cured some, which encouraged continued use and study of the X-rays. Grubbe did not publish his work until several years later, and his claims of priority as the first to use radiation treatment were widely doubted. The Invention of the Automobile (Karl Benz and Gottlieb Daimler), by St. John C Nixon. - book suggestion.